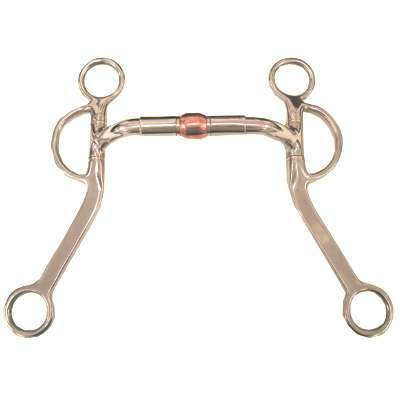 This happens to be one of our most popular horse training bits we have to offer. This is also one of the best bits available for training your horse. The Adjusta Bit that we have to offer is a flat cheek training bit and is made by Coronet. The adjustable bit also features copper roller which helps with the horses salivation. The Adjustabit changes sizes simply by twisting the shanks in opposite directions to increase or decrease size. This product was also made by the Coronet brand which is known to design the finest horse training bits worldwide. Rest assured you will get a top quality product at a low price.